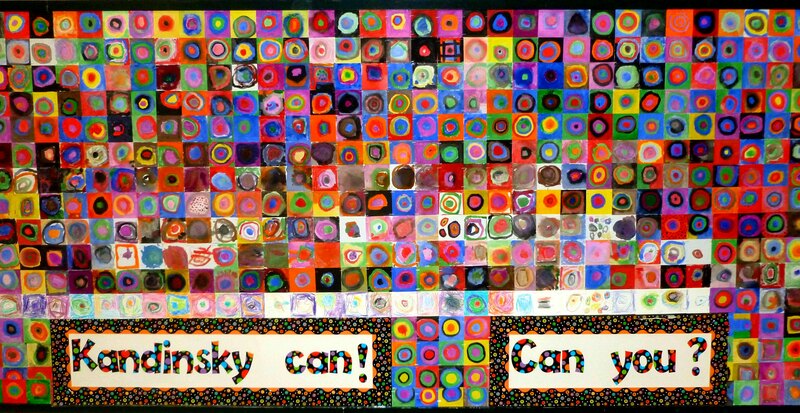 Every student in my school created one square with concentric circle that was assembled in a mural. 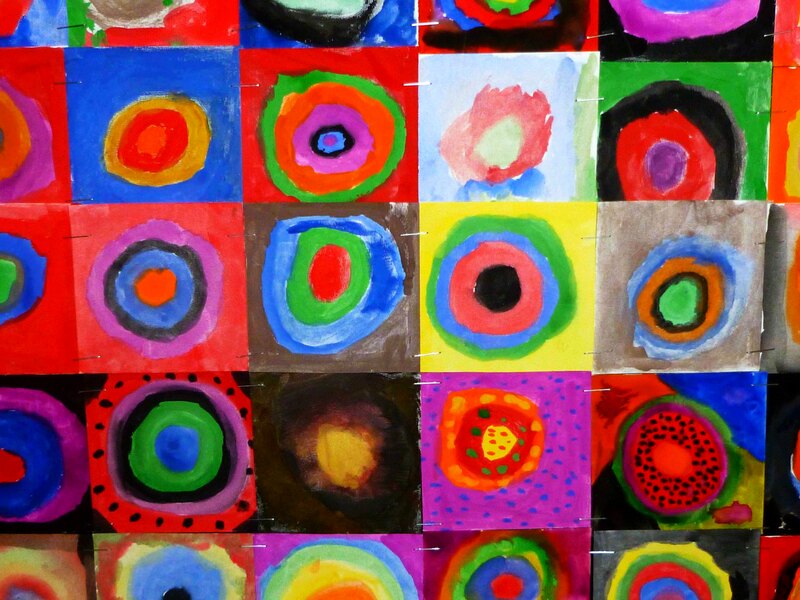 Students learn about the life and art of Wassily Kandinsky and create a school wide mural based on his Concentric Circle color study. 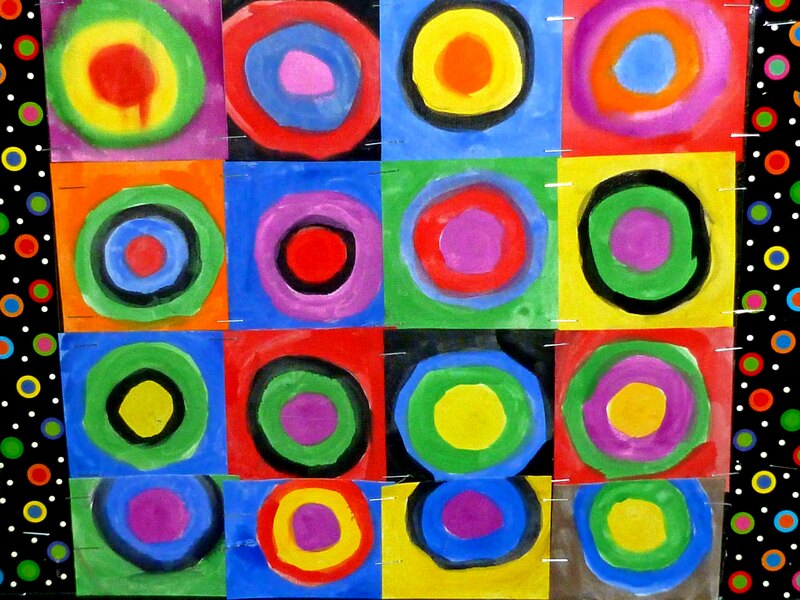 Students learn about the life and art of Wassily Kandinsky and create a circle color study with watercolor. 1. Introduce students to Kandinsky using PowerPoint. 3. Students experiment with colors and may choose colors they think will look good together or colors that create a mood or emotional effect. Here are some great videos to show students before or during art making. http://www.youtube.com/watch?v=CL4iNMEwdno 1926 footage of Wassily Kandinsky at work - Kandinsky was at the Bahaus at this time. http://www.youtube.com/watch?v=uWDsXwkhrOQ Flash animation that reconstructsone of Kandinsky’s famous paintings. 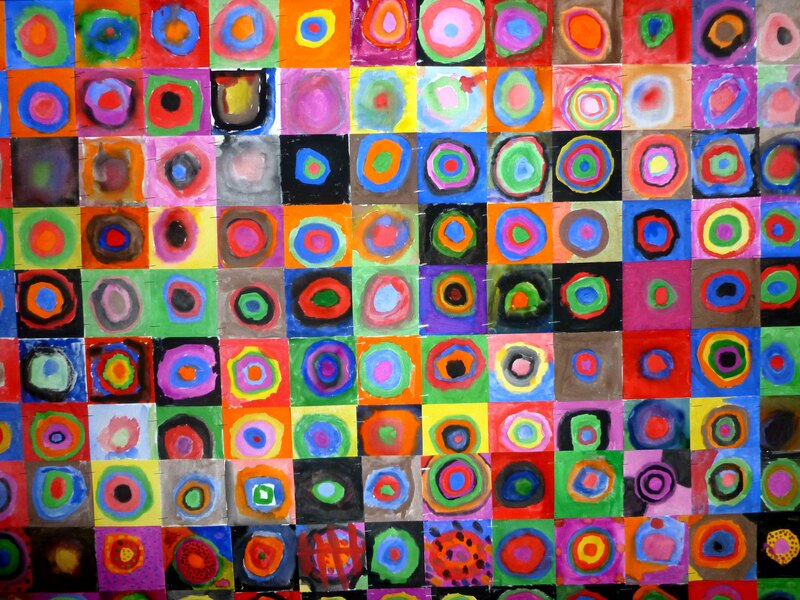 http://www.youtube.com/watch?v=wgDkuhmsMZg This is a short video demonstrating a project based on Concentric Circles by Wassily Kandinsky and is completed using oil pastels on while paper. http://www.youtube.com/watch?v=4nZ_qkeffY4 Wassily Kandinsky cover by Mozart Piano concerto No.23 A major 1st. Movement. This is a lesson I did on the first day of school in all grades K-5 after I went over a few rules and procedures. The kids appreciated being active and participating in an easy art project the first day of art class. What a great idea for next year's art show! I love this project.